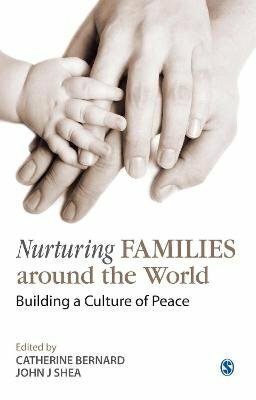 Nurturing Families around the World: Building a Culture of Peace aims to offer insight and tools to initiate the healing approach so that the family finds a creative rebirth. Families these days are overwhelmed by the speed, nature, diversity and complexity involved in the process of globalization, in which a great majority of the world are becoming emotionally restricted. Families at many a times are unable to provide for the physical and emotional needs of their members, especially children, and this too at times when the need is greatest to help them cope with the demands of change. With contributions from experienced professionals and renowned specialists, this book uncovers the many illusions that hide the reality of the complex and rapid changes taking place in the world and its potential to wreck havoc on the families. It offers material for the creation of a new paradigm and rebirth of the family and of society. This change in the structure of the family can initiate change within a larger community, a creative rebirth of the entire social community, leading to a new kind of connectedness and mutual caring.